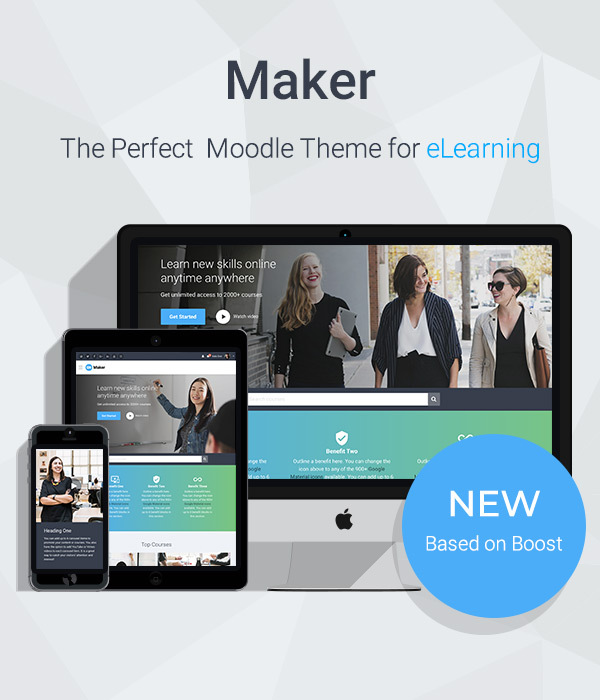 Our best-selling Moodle theme Impression comes with 6 hand-picked colour schemes. It’s really easy to switch between the 6 colour schemes via the theme settings page. For customers who want to have a unique colour scheme to match their existing websites, we’ve complied useful custom CSS code to help you change the theme colour scheme to meet your specific needs. First of all, you need to pick two colours. The first colour should be your site’s primary colour and the second colour is a darker shade of the primary colour. For demo purpose, we are using an indigo colour (#6964C1) as the primary colour and a darker shade of primary colour (#5C58AF) as the secondary colour. You can easily substitute the colours in the code with your own primary and secondary colours. 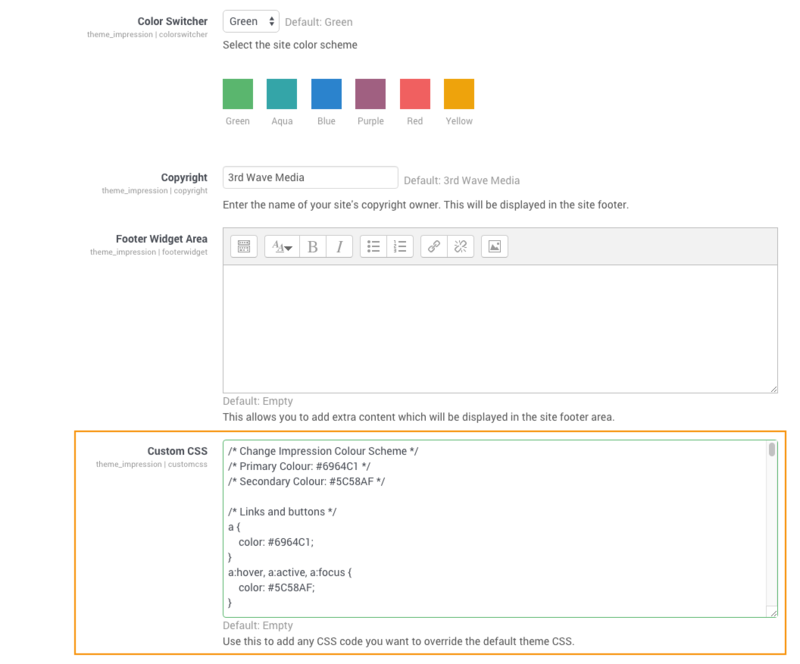 Once you’ve substituted the colours with your own, you can copy and paste the code into the “Custom CSS” input field under the theme settings page as shown below.